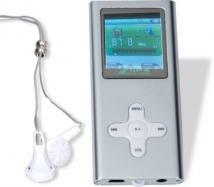 Worlds smallest MP3 Player Weighs half an ounce & 1.6 inch long Wear it anywhere! Clips on your clothes for portability RoHS compliant Plays music, podcasts, & audiobooks Supports: mp3, wma (w/o drm) file formats Continuous Play Time: 3-5 hours PC, Mac, & Linux compatible Contents include USB cord & Earbuds Size: 1 3/4L" x 1 1/8W" x 1/2H" Imprint: 3/4W" x 3/8H" Qty/Box: 50 ShipWeight: 25lbs. Worlds smallest MP3 Player. Weighs half an ounce & 1.6 inch long. Wear it anywhere! Clips on your clothes for portability. RoHS compliant. Plays music, podcasts, & audiobooks. Supports: mp3, wma (w/o drm) file formats. Continuous Play Time: 3-5 hours. PC, Mac, & Linux compatible. Contents include USB cord & Earbuds. Material: Anodized Aluminum. 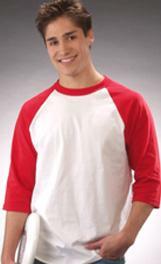 Size: 1 3/4L" x 1 1/8W" x 1/2H" Imprint: 3/4W" x 3/8H" Qty/Box: 50 ShipWeight: 25lbs. Supports MP3/WMA. Up to 1GB of storage. 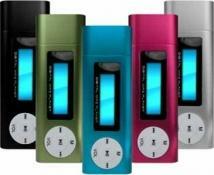 Digital voice recording, carry clip, li-ion battery. ABS Plastic. In-Play Power Indicator Light. Plugs Directly into USB Port. Compatible with Windows 95/98/ME/2000/XP. Includes High Quality Headphones, 1 AAA Battery and CD Driver. Capacity from 64MB to 1GB. 3 Week World Direct Delivery. Please note MP3 samples are subject to availability. Absolute minimums required. Pricing is directly tied to the volume purchase. No special pricing applies. Product Size (H x W x D): 5/8"h x 3/4"w x 1" d Packaging: Gift Box Pieces Per Box: 50 Weight Per Piece: 0.58 lbs. Weight Per Box: 29 lbs. 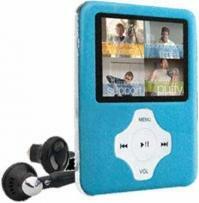 Case Dimensions: 27" l x 13" w x 10" h.
4-in-1 Music Player, Photo Viewer, Video Player, & Voice Recorder Bright 1.8 inch TFT LCD Screen Built in FM Radio Plug & Play Slim 1/4 inch thick body Read Song lyrics while listening to music Continuous Play Time: 3-5 hours Video format: AMV, AVI, MPEG, WMV Audio format: MP3, WMA (w/o DRM). Finish: Anodized Aluminum. Qty/ctn: 50. Weight/ctn: 25lbs. Supports MP3/WMA. Up to 8GB of storage. 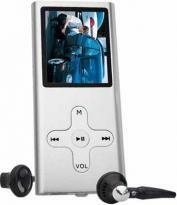 Digital voice recording & play back, LCD screen, USB flash drive. A Gift That Sings For The Holidays: An MP3 player is something everybody wants. This gift is pre-loaded with 15 holiday songs from Soundline's library. The extra touch of pre-loaded music will be played year after year. The remaining storage on the MP3 can hold 500 songs or more. Gift packaged with ear buds and a logo in one color on the MP3 player. MP3 Players: A perfect gift idea and even more exciting if loaded with music to carry your theme -- perhaps it is Hawaiian music for a trip, or to take a trip back in time for a class reunion. Flexible. Waterproof cool color silicone band snaps to wrap around your wrist or arm. MP3 module with micro SD card reader and rechargeable battery. Includes: stereo earbuds, clip and USB charging cable. Product Size: 17-3/4"h x 2-1/2"w x 1/2" Imprint Area: 1/2"h x 1-3/4"w Weight: 100 pcs./ 35lbs. 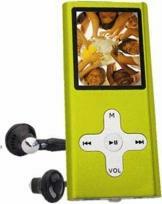 iFX-100 MP3 Player - 128MB. MOQ: 100 Accessories: Included with every unit: USB cable CD and Manual Headphones AAA battery. Warranty: 1 year. Print Area: Front: 1 1/8" x 1/2" Back (on cap): 1 1/4" x 1/4" Materials & Finish: High impact plastic. Bright 1.8 inch TFT LCD screen. Voice Recorder. View videos, photos. Listen to music & read song lyrics. Earphones, USB cable, Power adapter included. Continuous Play Time: 3-5 hours. Supports: amv, mp3, wma, wmv. RoHS compliant. Material: Anodized Aluminum. Size: 3 9/16L" x 1 5/8W" x 1/4H" Imprint: Front: 1W" x 1/4H" Back: 7/8W" x 3/4H" Qty/Box: 50 ShipWeight: 25lbs. Bright 1.8 inch TFT LCD screen. Voice Recorder. View videos, photos. Listen to music & read song lyrics. Earphones & USB cable included. Continuous Play Time: 3-5 hours. Video File format support: amv, avi, mpeg, wmv. Audio format support: mp3, wma (w/o drm). RoHS compliant. Material: Anodized Aluminum. Size: 3 9/16L" x 1 5/8W" x 1/4H" Imprint: Front: 1W" x 1/4H" Back: 7/8W" x 3/4H" Qty/Box: 50 ShipWeight: 25lbs. ABS Plastic. In-Play Power Indicator Light. Plugs Directly into USB Port. Compatible with Windows 95/98/ME /2000/XP. Includes High Quality Headphones, 1 AAA Battery and CD Driver. Capacity from 128MB to 4GB. 3 Week WorldDirect Delivery. Please note MP3 samples are subject to availability. Absolute minimums required. Pricing is directly tied to the volume purchase. No special pricing applies. Product Size (H x W x D): 5/8"h x 3/4"w x 1" d Packaging: Gift Box Pieces Per Box: 50 Weight Per Piece: 0.58 lbs Weight Per Box: 29 lbs Case Dimensions (L x W x H): 27" l x 13" w x 10" h.
Plays MP3, WMA files, Voice Recorder, 5 equalizer modes: POP, classic, jazz, rock, normal, Supports ID3 song title and lyrics display, LCD display with cool blue backlight Mass storage- store all your files AND music without software. MOQ: 200 Accessories: Included with every unit: USB cable CD and Manual Headphones AAA battery Zip pouch (FREE). Warranty: 1 year. Print Area: On USB cap: 11/16"W X 1/2"H On battery cover(back): 1 3/4"W X3/16"H. Materials & Finish: High impact plastic housing. 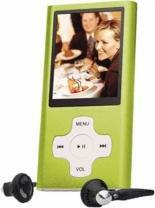 iFX-100 MP3 Player - 256MB. MOQ: 100 Accessories: Included with every unit: USB cable CD and Manual Headphones AAA battery. Warranty: 1 year. Print Area: Front: 1 1/8" x 1/2" Back (on cap): 1 1/4" x 1/4" Materials & Finish: High impact plastic. 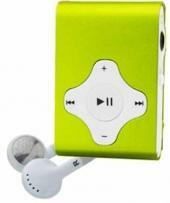 Supports MP3/WMA, Up to 8GB of storage, Digital voice recording & play back, LCD screen, USB flash drive. A Gift That Sings For The Holidays: An MP3 player is something everybody wants. This gift is pre-loaded with 15 holiday songs from Soundline's library. The extra touch of pre-loaded music will be played year after year. The remaining storage on the MP3 can hold 500 songs or more. 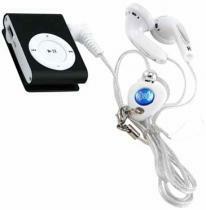 Gift packaged with ear buds and a logo in one color on the MP3 player. MP3 Players: A perfect gift idea and even more exciting if loaded with music to carry your theme -- perhaps it is Hawaiian music for a trip, or to take a trip back in time for a class reunion. MP3/WAV/WMA/FM player and voice recorder. LED display shows battery life and song title. Includes headphones, USB cable, instruction manual, installation disc and rechargable lithium battery installed. Windows XP, 95, 98, Vista and Mac compatible. Finish/Material: Plastic Dimensions: 2 7/8" W x 1 1/4" H x 1/2" D Imprint Area: 1/2" W x 3/8" H Shipping Information: Carton Size: Box Length: 12.40 Box Width: 10.00 Box Height: 14.80 Standard Packaging: Individually Carton Weight: 15 lbs. / 40 pcs. Plays MP1, MP2, MP3, and WMA music files as well as AMV video files. Record and play voice messages and FM radio broadcasts, view images and text files, play games. Includes: conversion software, earbuds, USB cable and AC adapter. Other memory capacities available Size : 1-5/8"w x 3"h x 1/4"d Imprint Area, Standard : 1-1/4"w x 1/4"h Packaging, Standard : Gift Box Shipping info: 50 pieces per carton, 29 lbs per carton, carton size 12.50" x 9.75" x 24.25". 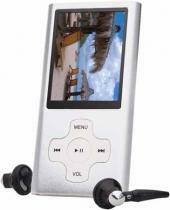 iFX-100 MP3 Player - 512MB. MOQ: 100 Accessories: Included with every unit: USB cable CD and Manual Headphones AAA battery. Warranty: 1 year. Print Area: Front: 1 1/8" x 1/2" Back (on cap): 1 1/4" x 1/4" Materials & Finish: High impact plastic. Gorgeous MP3 Player features a built-in USB connecter with magnetized cap, FM Radio, Voice Recorder, slick metal case design. MOQ: 100 Accessories: Head Phones, Charger, USB Cables, CD & User Guide. Materials & Finish: Lightweight Diamond Metal & High Impact Plastic. Plays MP3, WMA files.Voice Recorder. 5 equalizer modes: POP, classic, jazz, rock, normal. Supports ID3 song title and lyrics display. LCD display. 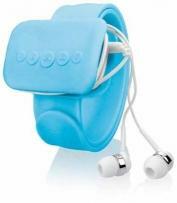 MOQ: 200 Accessories: Included with every unit: USB cable CD and Manual Headphones AAA battery Zip pouch (FREE). Warranty: 1 year. Print Area: On USB cap: 11/16"W X 1/2"H On battery cover(back): 1 3/4"W X3/16"H. Materials & Finish: High impact plastic housing. 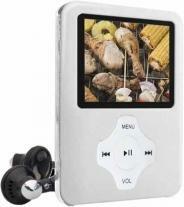 iFX-100 MP3 Player - 1GB. MOQ: 100 Accessories: Included with every unit: USB cable CD and Manual Headphones AAA battery. Warranty: 1 year. Print Area: Front: 1 1/8" x 1/2" Back (on cap): 1 1/4" x 1/4" Materials & Finish: High impact plastic. Easy clip on back. Built-in rechargeable lithium battery. Includes headphones, USB cable. Can hold up to 250 songs. 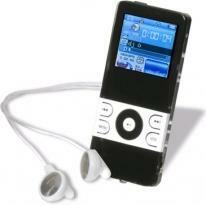 Listen to music in style with this 1GB high quality MP3 player. Product Size (H x W x D): 1.13 x 1.63 x 0.50 Imprint Area: Top 3/8"h x 3/4"w. Packaging: Gift Box Pieces Per Box: 50 Weight Per Piece: 0.40 lbs. Weight Per Box: 20lbs. Case Dimensions (L x W x H): 27 x 13 x 10. Screen size: 7 inch, screen ratio 16 : 9. Resolution: 480 x 234. Memory: Compatible with. 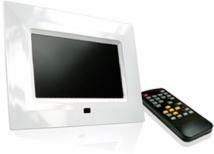 Additional features: Interchangeable frame, picture slide show, MP3 music background, clock, alarm and AV out. Optional built-in memory: From 128MB to 1GB. Remote control: YES. Zoom: Yes and rotate. VGA output: NO. Regulatory Certification: FCC / CE / RoHS. Product dimension: W 9.125 x H 6.5 x D 1.25 inch. Weight: 1 LB. Box dimension: 10.1 x 7.5 x 4.06inch MOQ: 100 Accessories: AC Adapter, Remote Control, User Guide, RCA Cable, USB Extension Cable. Materials & Finish: High Impact Plastic. 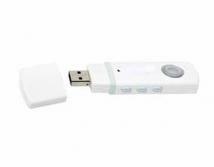 Other memory capacities available Plays MP1, MP2, MP3, and WMA music files as well as AMV video files Record and play voice messages and FM radio broadcasts, view images and text files, play games Includes: conversion software, USB cable, earbuds and AC adapter. Size : 1-5/8"w x 3-1/2"h x 1/4"t Imprint Area, Standard : 1-1/8"w x 3/8"h below display Packaging, Standard : Gift Box Shipping info: 50 pieces per carton, 29 lbs per carton, carton size 12.50" x 9.75" x 24.25"
The MP200 sets a new standard for media players with Video playback, photo display, large OLED screen, FM tuner, Playback to your car stereo with no wires or special connections using the built-in FM broadcaster. Brilliant 1.8" OLED Screen. Plays MP3, WMA and WAV files. Plays video movies. Voice Recorder. FM tuner. FM broadcaster- playback to your car stereo. Mass storage- store all your files, movies, photos and music without software. Built-in rechargeable battery. MOQ: 100. Accessories: High quality headphones neck strap manual CD USB cable. Warranty: 1 year. Print Area: On back: 2" W x 3/4" H. On front, between screen and function button: 1 1/4"W x 1/4"H. Materials & Finish: High impact plastic. Dimensions: 2 3/4"T x 1 5/8"W x 1/2"D.